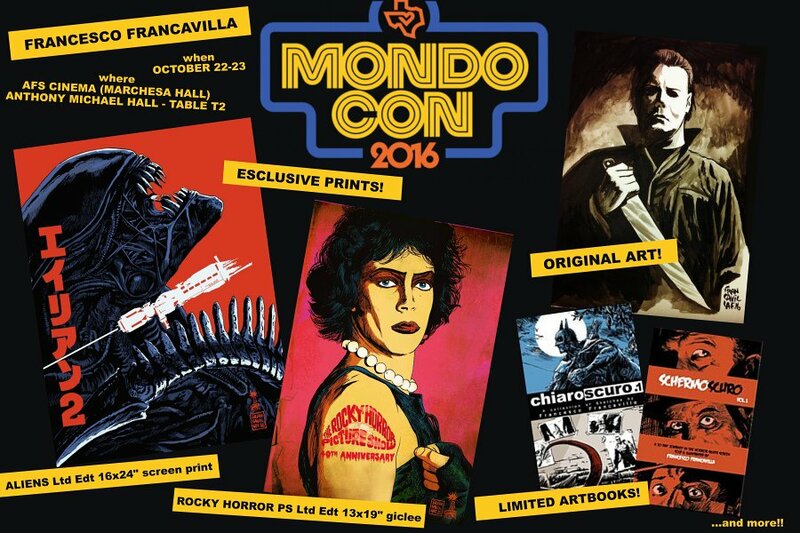 Francesco Francavilla will be at MondoCon again this year, and he’s bringing with him two new exclusive prints, art books, original art and even taking a few commissions! The Blot is especially excited about the MondoCon 3 exclusive Aliens print entitled “Nuke It From Orbit”! 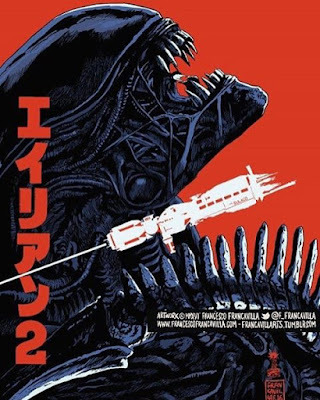 This limited edition 16”x24” screen print and so much more can be purchased from Francesco at his MC booth #T2 this weekend in Austin.